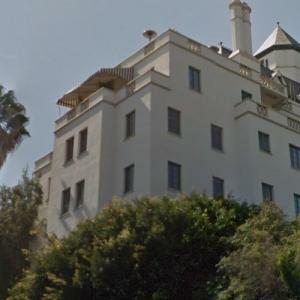 The Chateau Marmont is a hotel at 8221 Sunset Boulevard in West Hollywood, California, built in 1927, and modeled loosely after the Château d'Amboise, in France's Loire Valley. It has served as the backdrop for a number of events in the lives of well-known rock stars and actors. In 1982, actor John Belushi died of a drug overdose in one of its garden bungalows.